Summer BBQs would not be complete without this these tantalizing shrimp hot off the grill. The platter empties almost as fast as I can make them. Often I will double or even triple this recipe to satisfy my family’s craving. I use fresh sprigs of rosemary right from the garden and just picked Meyer lemons straight from the tree in our back yard. Soak 10-12 10-inch wooden skewers in water to cover for 1 hour. Combine the olive oil, lemon juice, garlic and salt, rosemary, and pepper in a bowl, whisk well, and then toss with the shrimp. Let rest for 1-2 hours. Heat a barbeque grill to high or pre-heat the broiler. 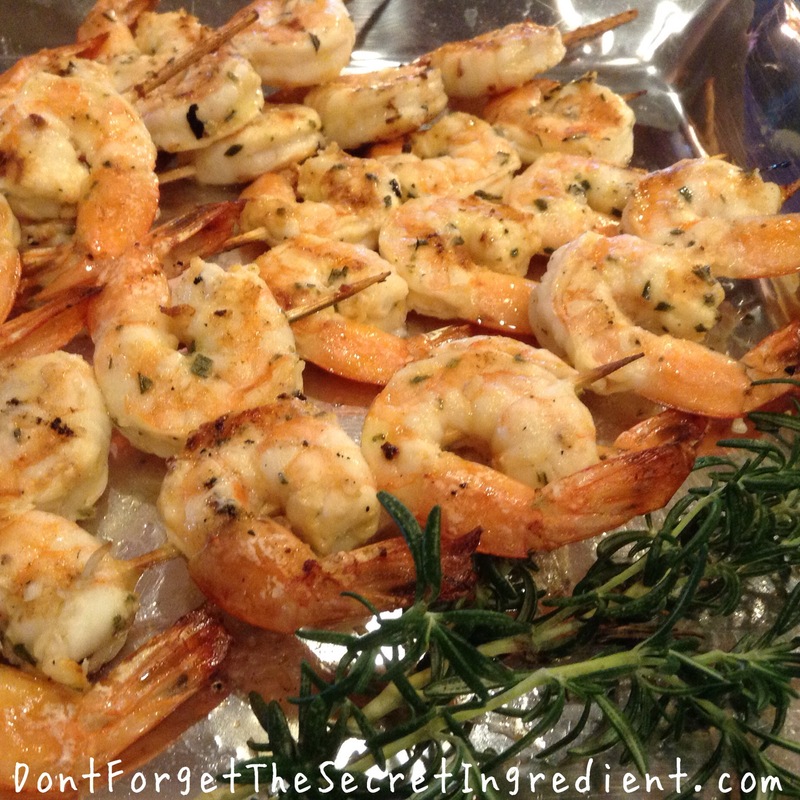 Remove the shrimp from the marinade and drain them, reserving the marinade. Thread skewers with 3 – 5 shrimp each. Grill or broil shrimp 4 inches from the heat source, brushing on each side with the extra marinate for 3 minutes per side. Psst! You can marinate these in the morning, and then thread them on skewers up to 3 hours before you plan to serve them. Just reserve some of the marinade to drizzle over the prepared skewers right before cooking.